Say you are planning a trip to China with your friends, and want your friends to learn some Chinese too so that they can pull some weight ordering food or hailing taxis. Or perhaps you just want to share the Chinese learning experience with them. TutorMing’s new Invite-A-Friend feature allows you to invite up to two friends to enter your TutorMing digital classroom. Learning as a group has many benefits. Not only does having your friends as classmates make the learning experience more memorable because of the personal interaction, but you can also support each other. Whether for travel or for business, taking class together will allow you and your friends to practice and help each other implement what you’ve learned in real life. Vocabulary is going to stick much better if you have memories of using the vocabulary on an outing with your friends! 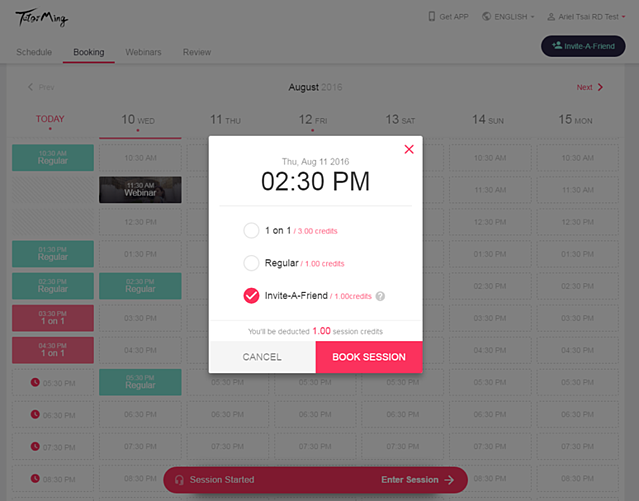 If you and your co-workers are on a business trip to China, using Invite-A-Friend can help your team support each other in learning and using Chinese vocabulary specific to the purpose of your trip. You all learned the same lesson, so you can make sure everyone is on the same page with their business Chinese. Step one, find the “Invite-A-Friend” button at the top right of your account page. Step two, start inviting your friends by sharing a direct link to your scheduled class. You can send as many invites as you like, but in order to insure the quality of classes, there is a limit of two friends who can join the classroom. If you don’t know which of your friends are interested in studying Chinese, you can share the link to your classroom on Facebook or Twitter. This will alert your social network of the possibility to take Chinese classes with you, giving you a new way to connect with your friends. 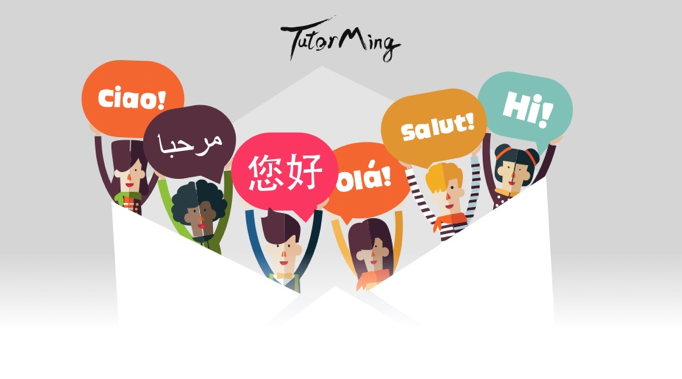 TutorMing believes the process of learning a language should be filled with human interaction and communication, and our platform provides an immersive experience. While in learning a language a lot of memorization and repetition is involved, it is the human interaction that allows language lessons to stick. Taking class with your friends through “Invite-A-Friend” is a great way to improve your retention skills, as well as make learning more enjoyable. Remember to get your friends on board 6 hours before your class starts, and you will be set to take class together. If your friends then decide to start learning with TutorMing, you will also receive 10 free classes for each friend that signs up. Good things come in pairs, so get your friend started on learning with you!